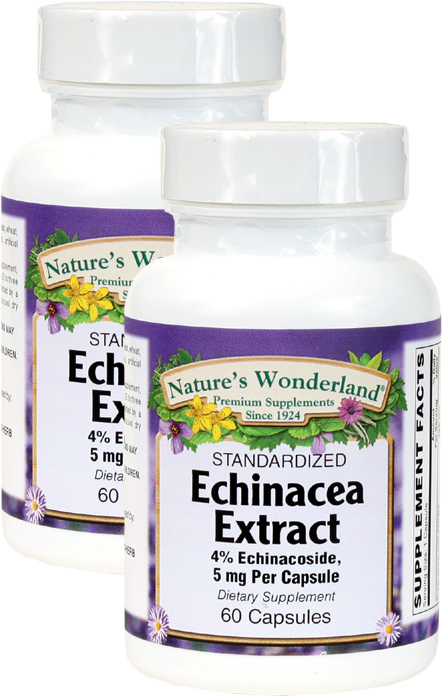 Echinacea Standarized Extract - 5 mg, 60 Capsules each (Nature's Wonderland) - Penn Herb Co. Ltd.
Our Standardized Echinacea Angustifolia Extract is meticulously extracted to provide a standardized level of 4% natural occurring Echinacoside (the herb's immune-supporting compound). 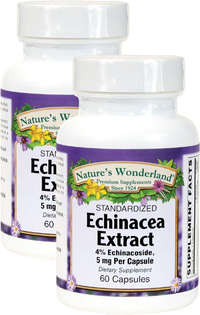 Whole herb Echinacea Purpurea is added to provide important synergistic benefits. As a dietary supplement, adults take 1 capsule, 2-3 times as needed, or as directed by a health care professional.